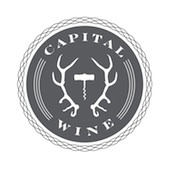 The Capital Wine Society is a tasting group for private buyers looking to access exclusive wines for their cellars. The tastings feature top wines from all over the world including the best domestic wines produced across Canada. We periodically feature special tastings with individual winemakers as a masterclass on their own wines and respective regions. This group is designed to be a fun resource for serious wine fans and collectors as an opportunity to sharpen your tasting skills and access exclusive wines that do not make it to the retail shelves. A large portion of the wine imported into Ontario is not available at Vintages or the LCBO. It is brought in by agencies and sold primarily to restaurants and private customers by the case. As such, there is a wide world of Private Order wine available to the Ontario consumer--from outstanding inexpensive wines for everyday drinking, to the highly allocated cult wines sought after by collectors, as well as the very best boutique wineries of Ontario and British Columbia that are not sold through the LCBO. Our tasting group does not have a bricks and mortar location, but revolves monthly through various interesting locations within the nation's capital. There is a nominal fee to cover wine and venue costs which varies by location, and attendance is by invitation only. To request an invitation please submit a note on our Services page and we'll get back to you in a timely manner.